Gabungan Bertindak Malaysia (GBM) disagrees with the calls by certain parties for a single stream education in English for all Malaysian children to bring about national unity. Such controversial proposal will not address the deeper roots of division in our society or the weaknesses in our education system. Instead, it split Malaysians further with its far-reaching implications on the status of national language and multilingualism. GBM reminds Malaysians that, while the revival of English-stream schools as the fourth stream may provide parents and students another option, “English education for all” as the only stream immediately calls into the question the status of Bahasa Melayu as the National Language — how can a national language not be the medium of instruction in any public schools? Will this explosive question not cause more anxiety, distrust and division? GBM stresses that, for all its imperfections, the current multi-stream education system are largely mother tongue education system for most students – even the Malay-medium Sekolah Kebangsaan (SKs) are virtually mother tongue education for Malay-speaking students. 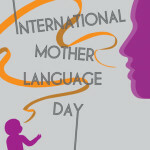 And where learning is concerned, mother tongue education serves the best interest of the children. It has been recognized internationally that learning through the mother tongue of the child is the most effective and best form of education for the child and in the best interest of the child. This was affirmed by a 2003 report of UNESCO, which concluded that learning in a language which is not one’s own provides a double set of challenges: not only of learning a new language but also of learning new knowledge contained in that language. Mother tongue education hence enables students from weaker socio-economic backgrounds, who cannot afford extra resources to master a second language, to learn more effectively and not fall behind. Abolition of mother tongue education instead means the aggravation of socioeconomic inequalities and growing gaps in wealth and social mobility opportunities, which are a real source of communal discontent and national disunity. GBM calls upon all who genuinely care about national unity to put real efforts in mitigating inequalities, marginalisation and discrimination faced by Malaysians in daily life, politically, economically, socially and culturally. It is the inequalities and marginalisation that breeds bitterness, anxiety, fear, distrust and antagonism, which is then conveniently exploited by politicians who champion narrow ethno-religious causes. The genuine advocates of national unity should fight inequalities, marginalisation and discrimination rather than putting the misplaced blame on the multi-stream mother tongue education system. GBM stresses that having different medium of instructions is no obstacle to national unity when the national life is inclusive. One such fine example is Switzerland, where the German speaking populations go to schools with German as teaching medium, French speaking populations go to schools with French as teaching medium while the Italian speaking populations go to schools with Italian as teaching medium but all students in the schools learn other languages as second language. On the other hand, in countries like Thailand, when minorities are marginalised, even linguistic assimilation cannot prevent political unrest. Such diversity also enables Malaysia to gain hugely economically, socially and culturally in an increasingly globalised world with its populations able to connect easily with many major countries in the world seamlessly.